There was even a debate over whether he would have enough support amongst MPs for him to stand as a leadership contestant. This is in contrast to the Labour Party supporters who have protested in support of Corbyn, who see him as an alternative to the nasty Conservatives and seemingly wanting a return to some traditional Labour values. The differing views illuminate a widening gap between MP’s and Labour party supporters. If MPs were serious about connecting with the electorate they could listen a little more to what their party members say rather than presuming that the electorate should get, and be happy with what and who they are given. The contender to Jeremy Corbyn is Owen Smith, former Shadow Work and Pensions Secretary, who has been careful to be respectful towards Jeremy Corbyn and said he would have him as President of the Party if he succeeded in his leadership campaign. He said that he respects Corbyn as a politician but doesn’t think he is strong enough as a leader. Smith doesn’t promise a new direction for the Labour Party but stronger leadership from a normal guy with a normal background who’s married with children. Some MP’s are frustrated that Corbyn didn’t make a stronger case for Remain during the European Union (EU) referendum which may be down to the fact that he was toeing the party line rather than having any real conviction to remain in the EU. Angela Eagle, highly critical of Jeremy Corbyn, announced her entry into the leadership contest but retracted when Owen Smith stepped forward, possibly in order to avoid having a more divisive contest that could cause a split in a vulnerable Party. The Conservatives, by contrast, have had a change of leadership in the space of just over 2 weeks where David Cameron, who had been leader of the party since 2005 and Prime Minister for the last 6 years, albeit in Coalition with the Liberal Democrats 2010 – 2015, resigned the day after the EU referendum. Theresa May became the unchallenged leader after Michael Gove put himself forward but quickly side stepped for Teresa before being sacked by her a few days later. The Labour party have been struggling to define themselves and their political vision since the 1980’s when Margaret Thatcher won successive elections. Her statement that ‘there is no alternative’ (TINA) to the market system seems to have struck a chord, whilst the Labour Party is pursuing its paternalistic outlook through a commitment to the welfare state covering the cracks of a market system that has failed to provide economic growth, employment and prosperity for all. In the 1990’s Tony Blair was able to steer the Labour Party to victory by redefining the Party as ‘New Labour’ ditching some of the traditional Labour ideals such as the commitment to nationalisation and cutting ties with the Unions but stepped up to engage in overseas military missions for which he is still being blamed for. 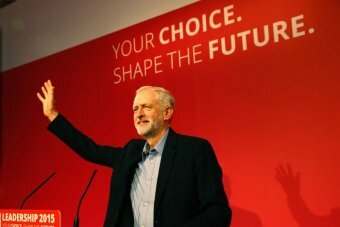 There is talk of some Labour MP’s creating an alternative Labour Party if Jeremy Corbyn wins the leadership contest, with potential legal challenges for the rights to use the Labour Party name, its status as the official opposition and for the assets of the Party. The fact that they have no alternative plan, as they scramble for the political middle ground of managerial politics and has minimal appeal to establish a passion for real political engagement, seems to elude the career politicians in their Westminster bubble. Perhaps it would not be so bad if the Labour party implodes, making way for some new ideas about how we can get investment in infrastructure, research, development, innovation, economic growth and production to build a better future. This would require ditching the ‘make do and mend the existing circumstances’ outlook, in favour of a revised appraisal of our human potential for creativity and productivity, and to bring about change for a new and better economic and political system.